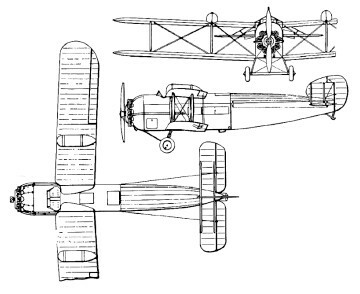 Early in 1921, the British government provided subsidies for approved airlines, so Bristol's management authorised Barnwell to proceed with a design for a single-engined transport aircraft. It was intended to be powered by a Bristol Jupiter engine, but this had not yet been type approved, so the initial prototype was fitted with a Napier Lion. The Type 62 had its Certificate of Airworthiness issued on 14 February 1922 and was transferred to Instone Air Line for service on its London to Paris route, carrying passengers and cargo. It was later transferred to Handley Page Transport Ltd. The second aircraft, the Bristol Type 75 was powered by the preferred Jupiter engine, which was mounted behind a fireproof bulkhead, with the entire engine installation capable of being swung open like a gate to allow easy access to the rear of the engine. The Type 75 was designed to accommodate eight passengers and two crew. This aircraft, registered G-EBEV, first flew in July 1922. The Type 75 received its Certificate of Airworthiness on 16 July 1924. By this time, Instone Air Lines had merged with the other three subsidised British airlines to form Imperial Airways. Imperial had a policy of using only multi-engine aircraft for passenger flights, so the Type 75 was converted into a freighter to carry 1,800 lb (820 kg) of cargo, operating the London - Cologne route from 22 July 1924 until 1926. A second Type 75 was not completed, and was broken up for spares in 1923. A third aircraft, the Bristol Type 79 was ordered by the Air Council to be equipped as a troop-carrier and air ambulance for the Royal Air Force. It was fitted with wings of greater chord, and had accommodation for three stretchers and an attendant or two stretchers and four sitting patients. 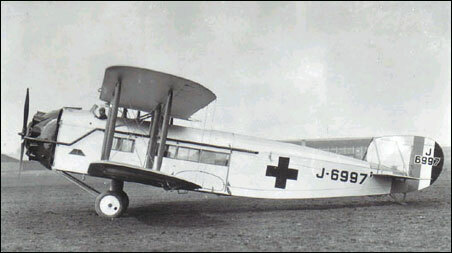 The Type 79 first flew on 19 March 1924 and was delivered to the RAF, as the Bristol Brandon, in 1925. It was overweight at full load and did not go into overseas service, being used as an ambulance at RAF Halton together with the Avro Andover.